Check this thing out. 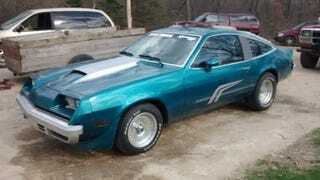 A ‘78 Monza Hatch with a 3.8 Turbo from a GN mated to a 4 Spd. With a 4.10 limited-slip out in the back. All rolled together with a screaming teal paint job. 10/10 would hoon.